IE Business School is glad to invite you and the members of your network to join the 10th videoconference in our Sports Management Today series, to be held on Thursday, March 24th at 16:30 (Madrid local time – please click here for your local time). Register at msmconferences@ie.edu. 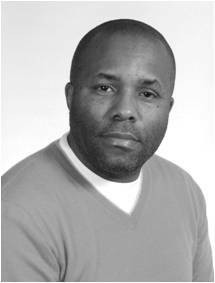 Coming off his international assignment for Sony FIFA Partnership Project Office in South Africa for the 2010 FIFA World Cup, Earl Patton will join us for this exclusive videoconference on strategies that pertain to global sports activation. Earl will discuss how Sony and other global partners of FIFA and the World Cup manage and integrate various business developments and marketing strategies from digital, television, print, social responsibility, sales and marketing. In addition, Earl will discuss the role of various internal and external groups within a global activation to illustrate how a united front is a key component to the deployment and success to reaching return on investment. The World Cup in South Africa: Dream or Nightmare? South Africa’s much-desired World Cup could turn into a nightmare if global coverage exposes the country’s weakest points.This year the World Cup will be held in Africa. For the first time in history, the world’s most coveted sporting event after the Olympics has gone to the African continent. Beyond the strong symbolism of the pictures of Nelson Mandela holding the trophy and the impressive athletic progress made by African soccer, an unanswered question remains: was it a good idea to take soccer so far away from its origins? We live in times when everyone wants a piece of the action where sporting events are concerned. Why? We might have to look for the root of this growing demand in what some have called the “Barcelona effect”. An industrial city in decline, positioned rather poorly within the regional hierarchy, manages to turn itself into a world-class city for tourism and services thanks to the impact on its brand made by an ambitious urban redevelopment project that used the Olympics as a driver and a global showcase. What mechanisms lay behind this magic transformation? Big events are without a doubt an excellent opportunity to tackle a region’s lack of certain facilities or infrastructure, both of which can benefit from the impact of the magic and far-reaching legacy of a major sporting event.